..wait, what? Water lilies? in Maine? Apparently there are native water lilies here. This could be Nymphaea odorata, but I’m not sure, and at the moment don’t have time to research it. The photography class I’ve been taking is allowing little time for close, thoughtful shots of flowers, so I’ve no others worth posting. But I’ve made note of what’s flowering. There’s a lot; the roadsides are lined with white and yellow, yet only a few species are represented. Come to think of it, I’ve noticed that as you travel north: abundant flora, but not a wide variety. Anyway, I’ve seen at least 5 clearly different species of goldenrods (Solidago), including silverrod (Solidago bicolor), at least two each blue-flowered and white-flowered asters (probably Symphyotrichum, maybe Eurybia), a few joe-pye weeds (Eutrochium species), some wild mint (Mentha arvensis), some common evening primrose (Oenothera speciosa). Also lots of ferns, especially interrupted fern (Osmunda claytoniana), and spruces and firs and ericaceous shrubs. I’ll be here for a few days once the class is over; maybe I’ll be able to get a few decent shots and identify them once I get back home. 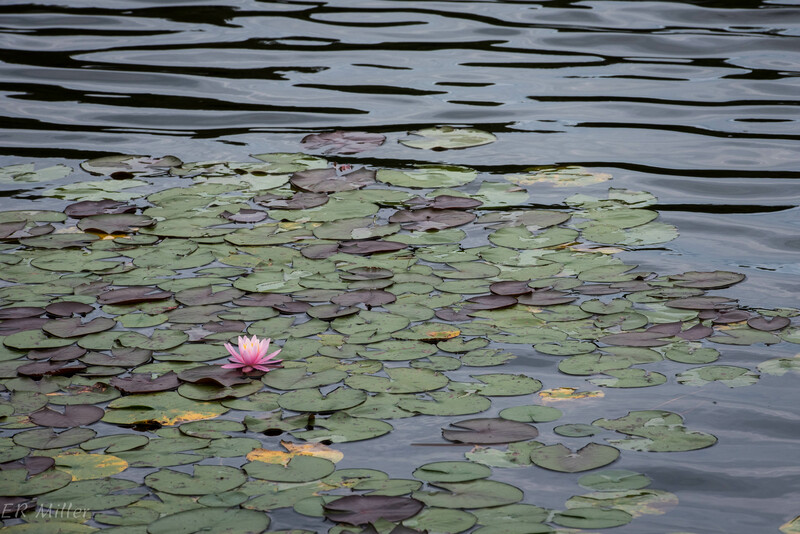 This entry was posted in Uncategorized and tagged Acadia National Park, Nymphaea, water lily by elizabeth. Bookmark the permalink.